In the show-off world of journalism, crossword-compilers are unsung, modest heroes. When they’re not days of the week, they have their own modest pseudonyms. Ever since 1999, ‘Antico’ has composed the Oldie Genius and Moron crosswords. Now, very sadly, Antico is standing down, due to ill health. ‘I had been recruited by Jenny Naipaul, who liked the puzzles I did for the Spectator, and it was she who encouraged me to introduce monthly thematic elements into the Oldie Genius puzzle, which had previously been a normal cryptic,’ says Antico, also known as Colin Gumbrell. ‘She also gave me the opportunity to choose an Oldie-specific pseudonym, and I lit on Antico as one suggesting both age and playfulness, which she thought ideal. In Antico’s sad absence, ‘El Sereno’ (the nightwatchman) is stepping into the breach. 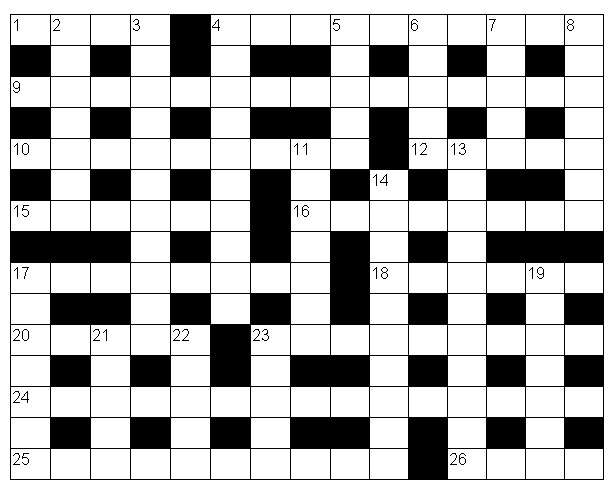 El Sereno – aka Jeremy Mutch – had his first puzzle published in the Financial Times (as ‘Orense’) over 20 years ago, and has set cryptic crosswords for the Telegraph since 1998. Turn to page 101 for the first of his Oldie crosswords. A warm welcome to Oldie Towers, El Sereno, and au revoir, Antico!